Helle is a Norwegian company that makes mostly fixed blade knives suitable for outdoors, camping, hunting, fishing, and survival applications. Most have well crafted leather sheaths and beautiful wooden handles. 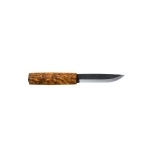 The knives are high quality and could just as easily look at home when used as a dress knife. 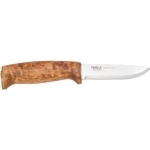 If you are looking for a great fixed blade, Helle is worth checking out. 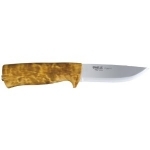 Below is a chart showing the best Helle knives on the site as reviewed by multiple users. Keep in mind that there are many great Helle knives out there, but if you can't decide on one after searching the site, choose one off this list and we are confident that you will be happy!